Goldie the Goldfish needs help graduating from fish school. 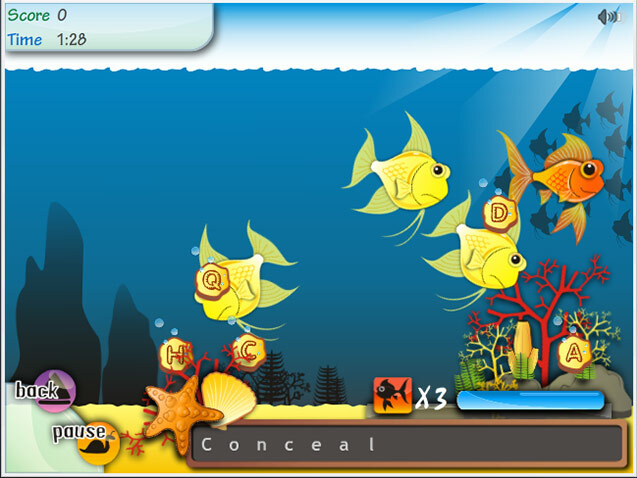 Help her get Schooled by spelling words in this cute online word game.Help Goldie graduate from fish school.Fish school has been tough for Goldie the Goldfish. The mean Angelfish bully her constantly because she can't spell. 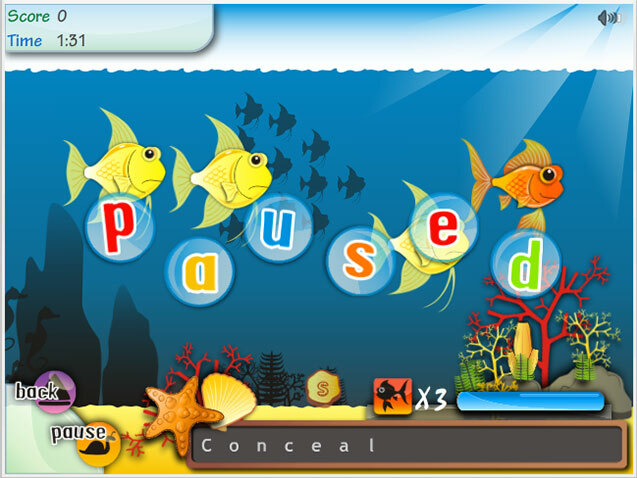 Help her get Schooled by spelling the words on the chalkboard in this charming online word game. Click to position Goldie so she can eat the letter pellets that complete the word. 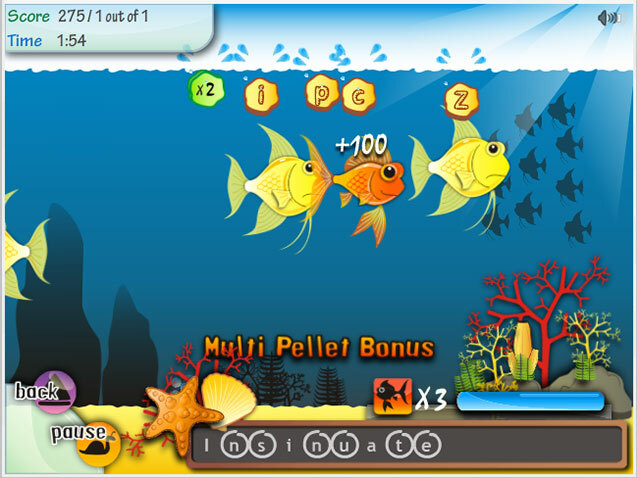 Catch falling bonus pellets and power-ups, if the greedy Angelfish don't get them first! 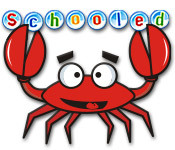 With your help, Goldie will swim away from Schooled with her diploma in tow.